Canadian banks President’s Choice Financial and TD Bank Group are to launch Ugo, an open NFC mobile wallet, in 2014. Loblaw, Canada’s largest retailer, has joined as Ugo’s first retail partner, bringing its PC Plus loyalty program to the wallet. Consumers will be able to load their TD Visa, President’s Choice Financial MasterCard and PC Plus loyalty cards on to an NFC SIM card in their BlackBerry or Android handset. TD is currently in discussions with major carriers to make Ugo available on networks across Canada, the bank has told NFC World. Subscribers will then be able to pay for goods at Visa Paywave and MasterCard Paypass terminals globally using their NFC phone. “President’s Choice Financial is always seeking to make banking simple and better for our customers, and Ugo is another example of good banking for PC Financial MasterCard customers,” says Barry Columb, president of President’s Choice Financial. Loblaw has over 1,000 stores in Canada under 22 banners including Valu-mart and No Frills. “Loblaw is always looking for new ways to improve the shopping experience in our stores and Ugo takes this to the next step by giving customers a faster, more convenient way to perform their everyday transactions,” adds Loblaw president Vicente Trius. 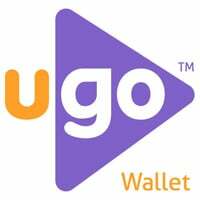 More major partners, debit and gift card capabilities, loyalty programs and product offers will be added to Ugo in the future, the partners say.